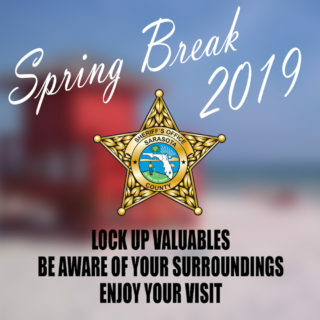 The Sarasota County Sheriff’s Office is enhancing crime prevention efforts again this year as spring break visitors come to the area and local students enjoy their time off from school, the department has announced. The Sheriff’s Office is posting safety reminders on electronic signboards that read “Be Beach Smart,” “Lock Up Valuable Items,” and “Enjoy Your Visit,” the release points out. Additionally, the agency is distributing “Beach Smart” cards with tips to help tourists and beachgoers reduce their risk of theft, the release notes. Become familiar with your surroundings, including nearby streets and landmarks. Keep valuables out of sight by locking them in the trunk or hotel room safe. Always carry wallets, purses and room and car keys securely. Lock the doors and windows at your hotel and always lock your vehicle. Obey traffic signals and speed limits; avoid any distractions. Utilize crosswalks and sidewalks. Make your presence known to motorists. Never advertise your plans to strangers — in person or online. Stay with your group and never leave with a stranger. Keep your drink in sight and do not accept open drinks from people you do not know. Have a designated driver or utilize a taxi service. Be observant and report any and all suspicious activity. Spring break spans the months of March and April in Sarasota County, the release notes. The period coincides with several annual spring events in the community, including the Sarasota County Fair. “Crime prevention efforts will enlist multiple agency resources,” the release says, including mobile assets, in an effort to reach a variety of areas throughout the county. The office also puts a focus on specific events and activities, the release adds. As always, residents and visitors can contact the Sarasota County Sheriff’s Office by dialing 911, or they may contact the agency’s non-emergency line at 941-316-1201. The public also can submit crime tips and receive traffic alerts and local weather updates through the agency’s free mobile app, which is available for download on both iPhone and Android devices, the release points out. 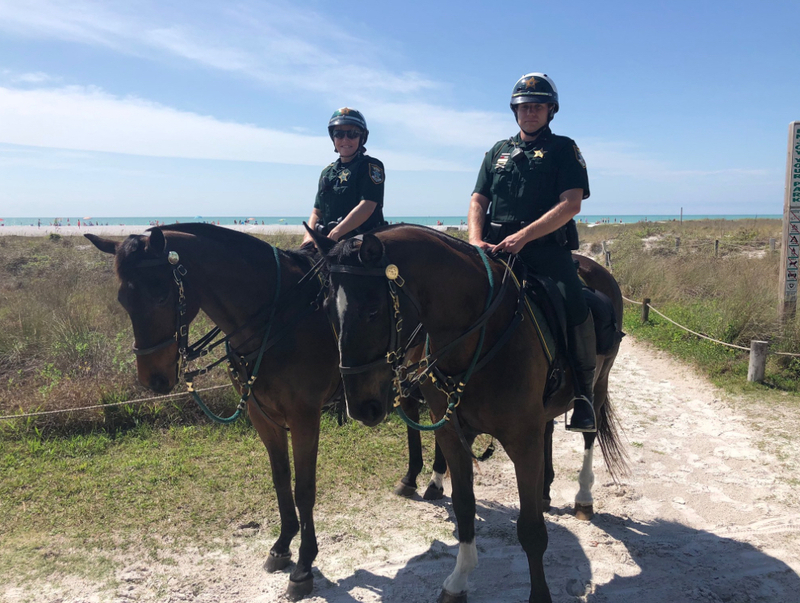 Additionally, the Sheriff’s Office encourages people to connect with it on social media through Facebook, Twitter, Instagram and YouTube.